Episode 31 - The 118th U.S. Open from Shinnecock Hills deserves it's own Preview Show. So here it is! Steve Bamford, Paul Williams and Barry O'Hanrahan discuss in-detail what they expect in 2018. They talk Shinnecock Hills and how it's likely to play. What trends U.S. Open winners show statistically from a skill perspective and highlight that triple-digit odds players year-after-year contend in the 2nd Major of the season. They also give their opinions on players they like for the 2018 U.S. Open both at the top-end of the tournament and at bigger prices. Our U.S. Open podcast including tips will be released on Tuesday 12th June. 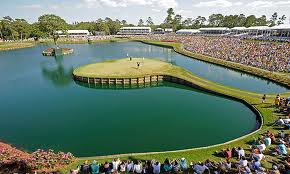 Steve's full U.S. Open Preview (Prep Sheet) piece is available via the link below - in the meantime enjoy your research. Intro: 00:00; Value Triple-Digit Prices at the U.S. Open: 01:54; Shinnecock Hills - what to expect, how will it play? : 06:01; U.S. Open Champion Statistical Trends: 18:24; How this relates to players - our early views: 25:30.